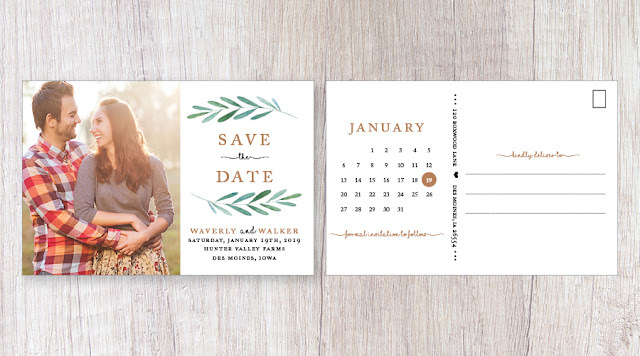 Save the Date Postcard – sized to 6"x4" with photo on the front and calendar details on the backside. 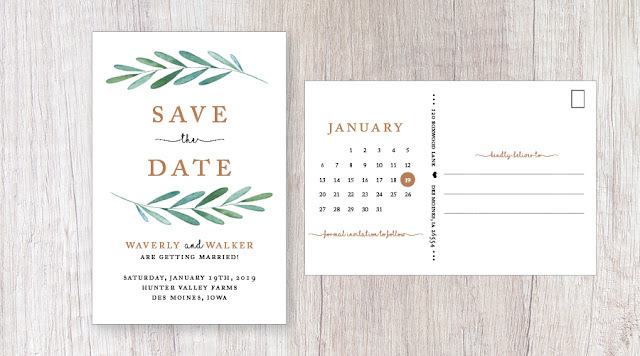 Save the Date Postcard – option #2 without image – sized to 6"x4" with greenery detail and calendar on backside. 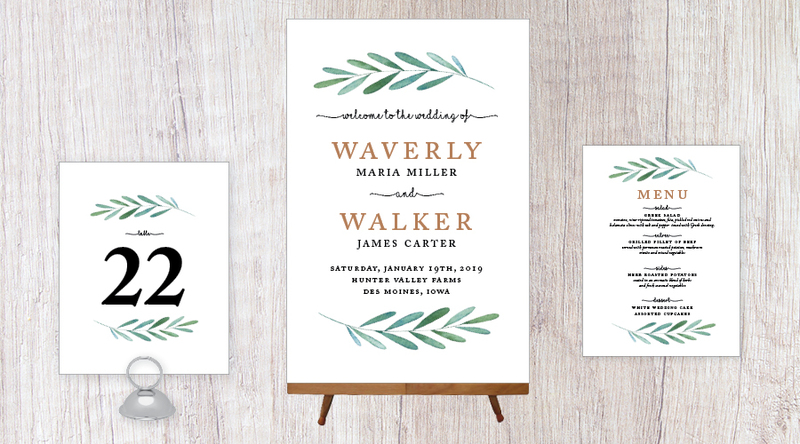 Wedding Invitation Suite – includes 5"x7" panel invite, 4"x6" details card and 6"x4" RSVP postcard. 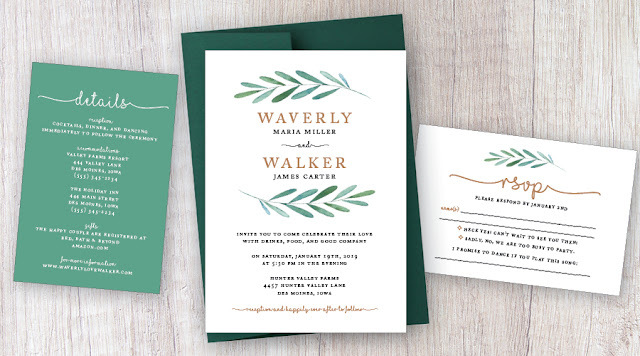 Waverly Seal and Send Wedding Invitation – these invitations are an economic choice for those couples that are on a budget. 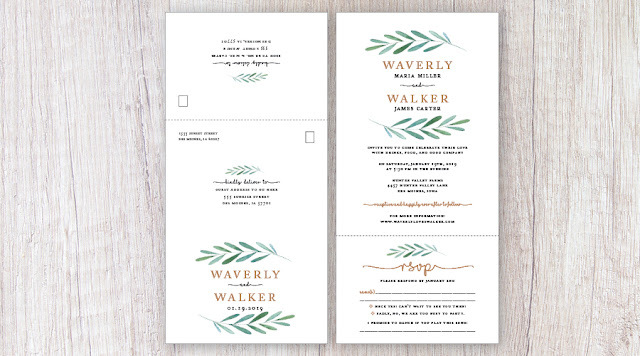 This is an all in one invitation that rolls and seals with two clear stickers. We also offer other matching details such as table numbers, large format welcome signs and menus. Other reception details including signage such as cards and gifts, favor table, and large format seating chart. 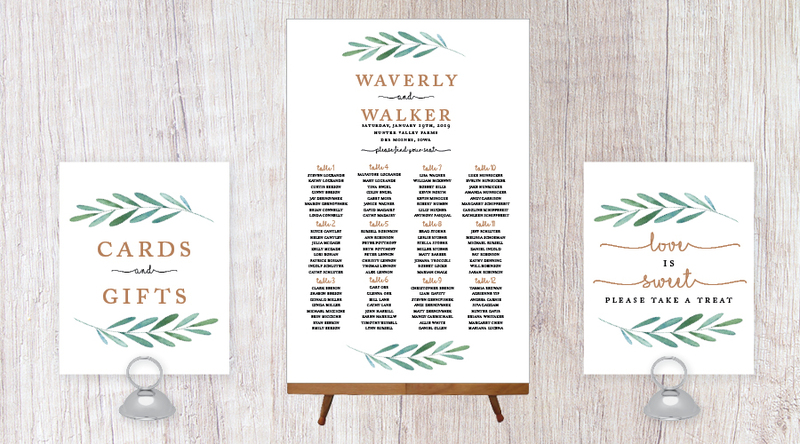 For the full Waverly suite of items click here.